Following quickly on the heels of Radiohead’s In Rainbows, another band with a strong following and abstract-electronic leanings has posted its music online as a sliding-scale download. 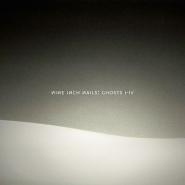 Nine Inch Nails has made available for free a nine-track collection titled Ghosts I-IV, and a variety of purchasing options will get you the full, nearly two-hour, 36-track version, ranging from a five-dollar download-only set to several disc-based physical objects. While the big entertainment-industry news this past week has been the business plan involved in NIN’s Ghosts collection, what’s gone underreported is the fact of the music itself: arguably the biggest selling album in the world at this moment is a lengthy set of experimental electronic instrumentals. The album opens with a contemporary, atmospheric spin on Satie’s piano — a hazy, lazy melody milked for its romantic echoes as a whorl of droney tones fills in the spaces between the notes. Then, on track two (the full album consists of four sets of nine tracks, each set titled Ghosts I, II, III or IV), comes the reverse: a quietly roiling fuzz box that’s eventually lent shape thanks to a well-crafted piano line. To hear Nine Inch Nails without the familiar, gaping-wound screams of its main member, Trent Reznor, proves to be a refreshing, reflective opportunity. If the percussive third track brings to mind some of the more rhythmic, Fourth World experiments of the Talking Heads, it won’t be a surprise to learn that Adrian Belew, their occasional guitarist, guests. Track six could be a film-score cue by James Newton Howard or Cliff Martinez, just simple mallet tones, somewhere between xylophone and glass harmonica, amid a quavering synth line. You have to get a full seven tracks into Ghosts before you’re provided with what sounds like a standard NIN song: the pneumatic beat, the crunchy guitar, the celebration of abrasiveness. The free version of Ghosts I-IV closes on another cinematic nugget, with tasty bits of backward recording effects and microscopic beats. There are no direct links for the individual tracks, but the whole thing is available, 24 hours a day, at ghosts.nin.com. (Files are also encoded in “lossless” FLAC and in the Apple/iTunes default format.) Alessandro Cortini is heard on one of the nine free songs. Brian Viglione appears later in the collection, and Atticus Ross (“programming, arranging, production”) appears throughout. Alan Moulder (Depeche Mode, My Bloody Valentine) is credited with engineering, mix engineering and production. One funny side note: When I dragged the nine files in the free edition of Ghosts I-IV into Quintessential, my laptop’s primary MP3 software, the album appeared in the program’s window as The Ghost Map and the artist was listed as Steven Johnson. Apparently CDDB, the leading database of album file associations, had mis-associated seven of the nine files with Johnson’s book, the subtitle of which, The Story of London’s Most Terrifying Epidemic — And How It Changed Science, Cities, and the Modern World, doesn’t seem all that out of place for Nine Inch Nails.